The 15th Annual Ballpark Festival of Beers presented by Kickin’ Chicken will be held on Saturday, August 26th at Joe Riley Park. Sample over 100 American and international ales, stouts, lagers, pilsners and specialty brews. The evening will start out with the Blue Plantation Band who are an acoustic string band with a diverse variety of authentic musical styles including Bluegrass, Irish, Folk, Country, Swing and Jazz. Plan to dance the away with Midnight City. Vendors include Towne Centre Tobacco, Charleston City Paper, InTown, Charleston Henna, Kickin’ 92.5, Mix96, Nectar Sunglasses, Grit Box Fitness, Green Taxi, Caroline Apartments, Drifter Merch, The Standard at James Island Apartment, Wharf 7, Cooper River Farms, Contract Exteriors, Harbor Entrepreneur Center, and Hoover Mitsubishi. Tickets are $30 general admission and $60 for VIP tickets and available at any area Kickin’ Chicken. $35 tickets are available at the RiverDogs Box Office or at RileyParkEvents.com. VIP includes 6pm early entry, 25 sampling tickets (instead of 18), and access to the Kickin’ Chicken VIP Lounge which includes light snacks and refreshments. This weekend, Aug. 11-12, The Haraway Brothers will make Charleston’s Home Team BBQ their home, playing on Sullivan’s Island on Friday night and Downtown on Saturday. Lee & Will Haraway, founders of The Sundogs, are celebrating their debut record together, titled “The Haraway Brothers Wish You Love & Luck in the World”, which you can listen to on iTunes, Spotify and right here. Friday Night’s show starts at 10 PM on Sullivan’s Island with $5 cover, while Saturday starts at 7 PM on the outdoor stage at HTBBQ downtown and is free. Come listen to every song from you new favorite album plus some Sundogs tunes and other fun choice covers. 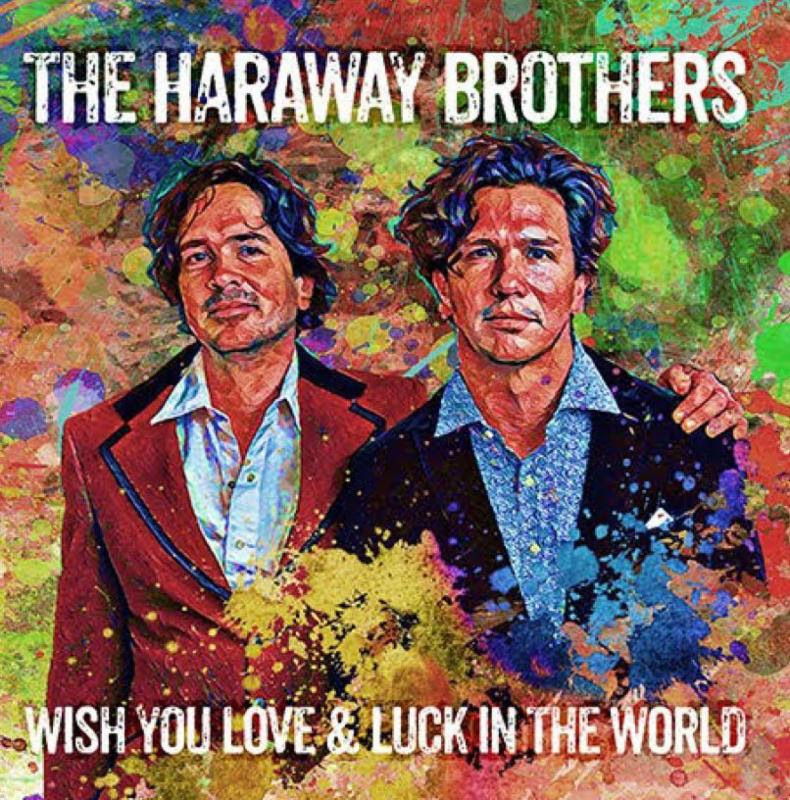 Released on May 5, The Haraway Brothers’ Wish You Love & Luck in the World is exactly what the title describes, a sincere wish and a shot of good, positive vibes for everyone that lets music into their ears and hearts. Smart, funny and occasionally sad songwriting is buoyed by brilliant brotherly harmonies, heartbreaking pedal steel guitar and searing guitar leads from Benji Shanks (who also produced the album) that would make the late great Waylon Jennings cry. If you’re on board with Jason Isbell, Sturgill Simpson, Ryan Bingham and BJ Barham, The Haraway Brothers Wish You Love & Luck in the World will be an instant addition to your listening universe. For more information on the new album, visit www.harawaybrothers.com. When planning an event or wedding, the cuisine is one of the main ingredients to a successful celebration. Serving the area since 2005, Relish Distinctive Catering offers a great full-service catering value by granting clients affordable access to a talented chef, exclusive venues and professional event planners. The company believes that every occasion is an opportunity to delight the senses, and its desire is to create events that do just that. The culinary team is led by Executive Chef Sean Wren. After graduating from Culinary Arts Program at Johnson & Wales University, Sean honed his skills working in several lowcountry restaurants. In 2005, he began working at Yeamans Hall Country Club before opening Cork Neighborhood Bistro in Park Circle where he blended his own Southern heritage with traditional cuisine from the South of France. Later he became Executive Chef at the new Boeing plant in North Charleston before joining Relish Distinctive Catering. He still enjoys forays into international cuisine, but his passion for all things home cooked and homegrown continues to be the guiding principal for his favorite creations. Relish Distinctive Catering is not your average caterer as in addition to excellent cuisine, they go above and beyond to handle every aspect of our reception from ceremony orchestration and party timing to entertainment coordination and event rentals. To inquire about Relish Distinctive Catering and schedule a complimentary consultation, please contact its exceptional planner Lacy Davidson at 843-849-2412 or ldavidson@rivertownecountryclub.com. Find out more about the company at www.relishdistinctivecatering.com.